.♥.♥.♥.♥.♥.♥.♥.♥. DELUXE CANDLE MAT KITS .♥.♥.♥.♥.♥.♥.♥.♥. You will be sure to love our NEW DELUXE CANDLE MAT KITS. Packaged in a very nice box for storage and beautiful for gift giving, even if the gift is for yourself. 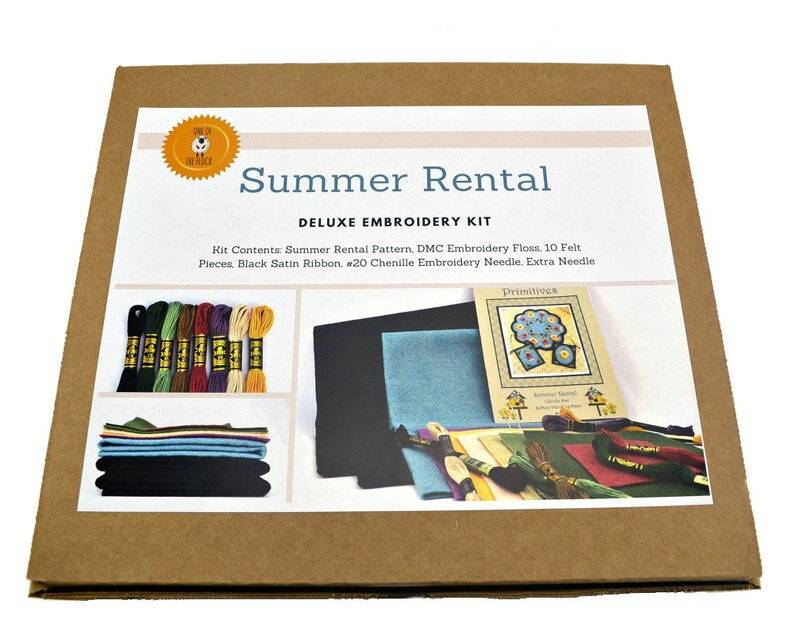 The kit contains all of the Merino wool blend felt, DMC embroidery floss, needles, and paper pattern. 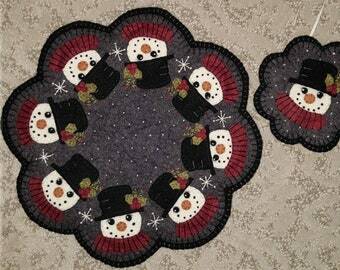 Everything you will need to complete the adorable 12" Candle Mat and 4.5"x5.25" Mini Mats. *If you're a bird lover, this sweet design is for you! 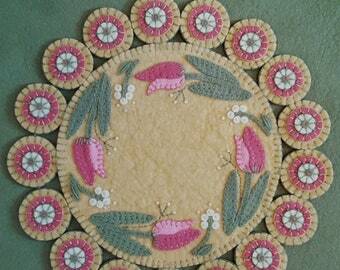 What a wonderful prim design to add some sweet summer charm to your home decor.